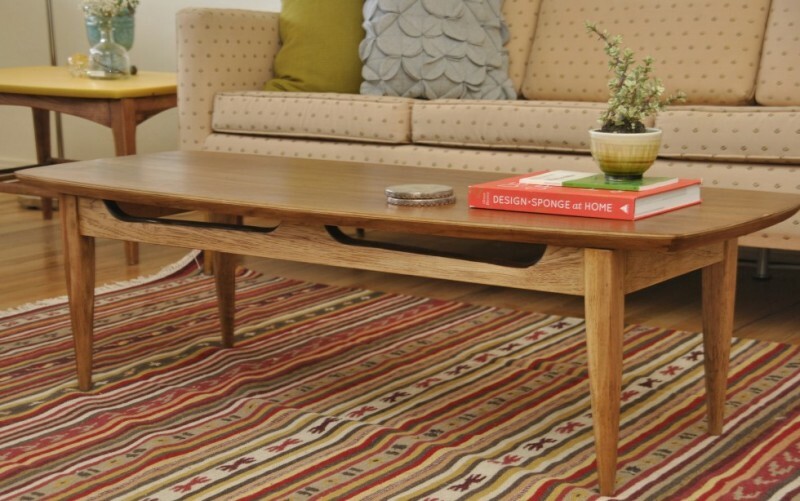 Stunning Danish mid century surfboard style coffee table. With beautiful walnut wood grain, clean lines, and tapered legs, this table would be an amazing addition to your space. Table is in good vintage condition.